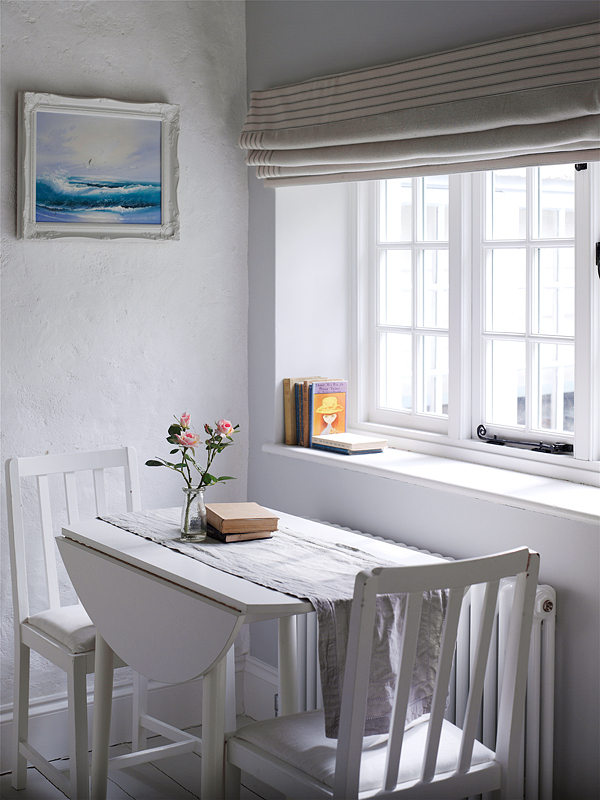 Our former laundry, Amity is now a cosy cottage for two. It has a light, airy beach-hut feel and is packed full of unique features. It is a perfect hideaway – whether for a romantic weekend, a walking holiday, a surfing break or a simple space to unwind and explore North Devon. 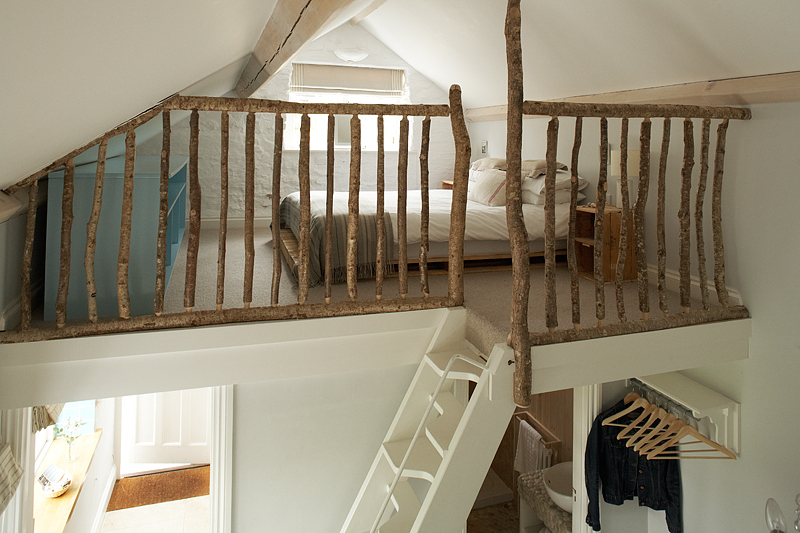 In Amity there are beautiful driftwood finds, a bespoke hazel wood bannister, mezzanine bedroom, a pallet bed and dust sheet blinds. 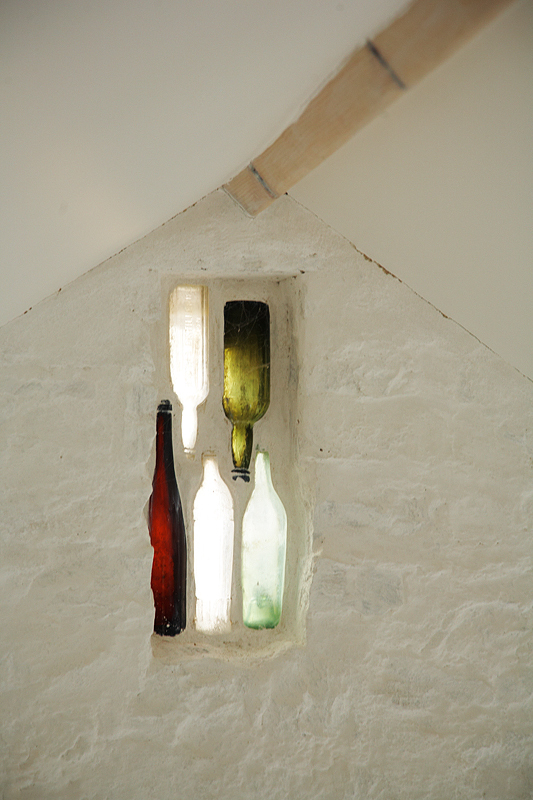 There are old bottles forming a window, and the shelving unit is made with breeze blocks. Once you get used to them, you'll love the ladder-like stairs! Sleeps 2 (sorry no children or babies). Dining seating for 2 and lounge seating for 2. Staircase may not be suitable for the elderly or those with restricted mobility. Self-catering – the kitchen is fully furnished with everything you might need. Fridge and small freezer section, toaster, double oven and hob. 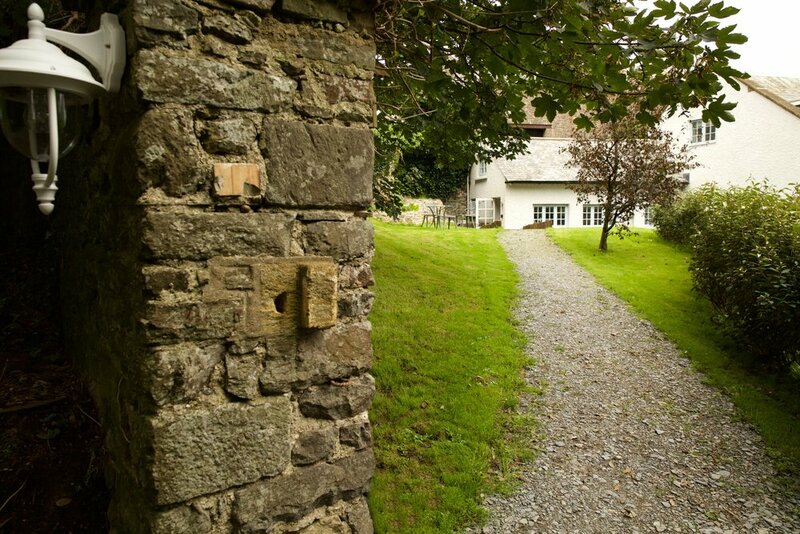 You may be interested in checking out our other characterful two person property 'The Chapel', which is also available for long weekends and short breaks. We also have three other apartments ideal for couples and you can check out general availability here.